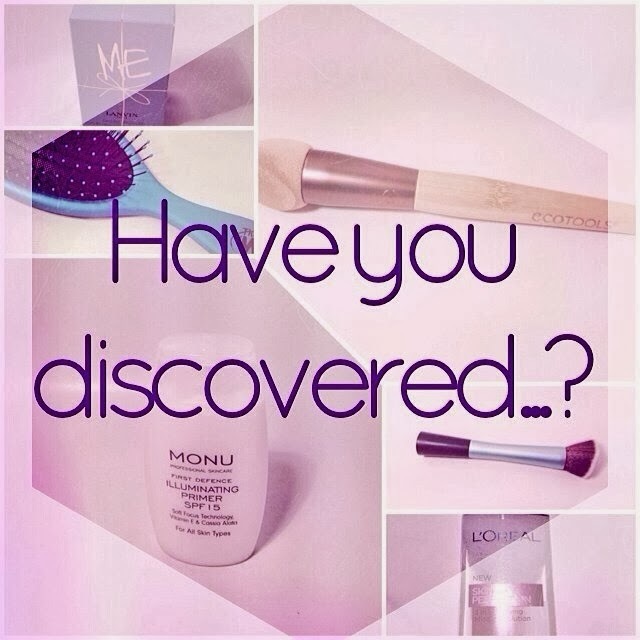 Another sunday, another blog post in the Have You Discovered…? Series! Today's topic is "Primer"! As I don't use any face primers I thought I'd cheat with this one and talk about an eye primer! 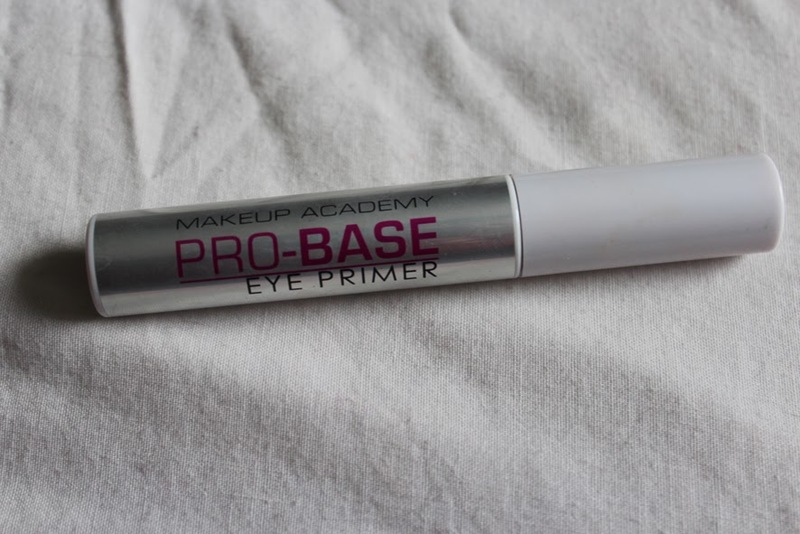 I've just recently purchase the Pro-Base Eye Primer from Make Up Academy. So this product was also a new discovery for myself! And so far I really enjoy it! On the product it states that it should be applied before eyeshadow to achieve vibrant, crease-free colour that lasts. So far so good! Even though I do like the applicator of the product, I usually dap it on my eyelid with my fingers, just because I feel that this way I don't waste any product or get too much on my eyelid. Afterwards I apply my eyeshadow as usual and I've really seen a difference. Not so much that the colours seem more vibrant but the eyeshadow lasts much longer! Even after a night out it still looks (almost) perfect! I also tried this product before applying just my eyeliner but I found, that it doesn't make a difference. Sometimes I feel like my eyeliner creases even more with the product - but that could just be my imagination! 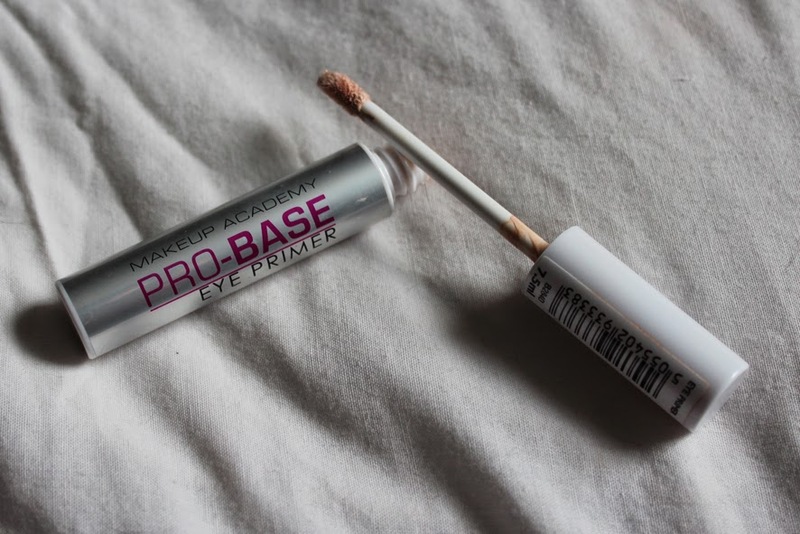 The Pro-Base Eye Primer is also very inexpensive, you can get it for £2,50 in every Superdrug. All in all it's a great product and I'll certainly continue using it before applying eyeshadow! I want to know what's you favourite primer! Any recommendations for a face primer newbie? I hope you enjoyed reading and have a lovely sunday evening! I have recently discovered MUA they are such a good brand and so so affordable! 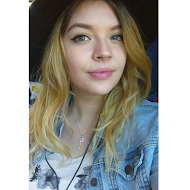 I'm also taking part in the haveyoudiscovered series! I thought about doing a post about eye primer, so that was really good to read. I'm always on the hunt for cheap alternatives and this looks perfect. I have never tried any MUA products but i'll be sure to check this out, great review. This product looks amazing! I'm going to have to give a try!